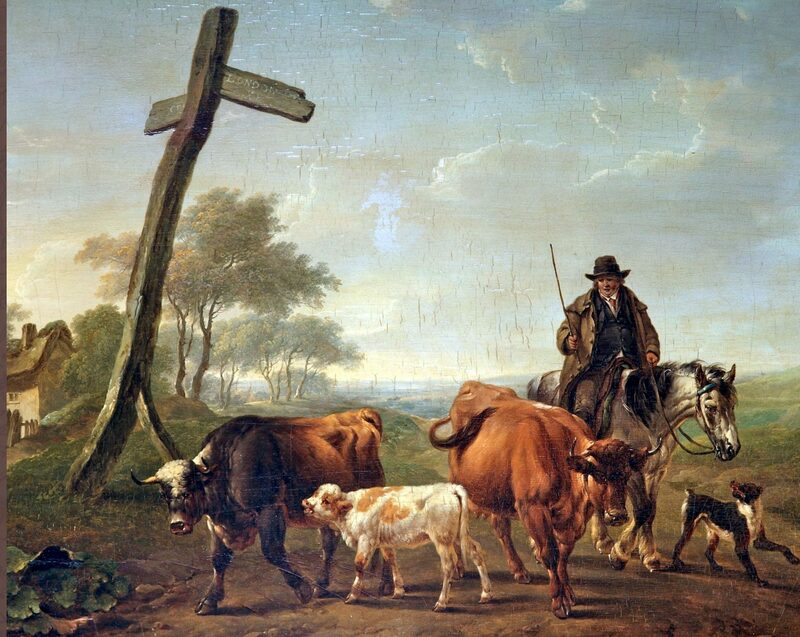 The cover image of the book by Charles Towne (1763-1840), A Drover on Horseback with a Dog Driving Two Cows and a Calf. The diaries of a young cattle dealer which were found gathering dust in a church in Angus are the subject of a new book. James Fyffe’s diaries were written at the end of the great era of long-distance droving of livestock which was killed off by the arrival of the railways. Co-author and renowned local historian David Orr said Fyffe makes prolific references to the people and places he encountered on his travels from Kirriemuir to the Edinburgh cattle market. Setting out in life with fine ambitions, he was often distracted by the young ladies he was courting and the many neighbours he visited to drink toddy with in the evenings. Mr Orr said: “The unassuming notebooks which he used for his diaries were found in a cupboard in the Old Parish Church by the minister, sometime in the 1960s, but no-one is able to say how they came to be there. “In all probability I believe it was handed in by someone who thought his record of the sermons he so meticulously recorded every Sunday in the ministry of the celebrated Thomas Easton, would be of interest. “The diaries were given to Jean Dundas who did the transcriptions of the handwritten diaries and then researched the contents of the diaries. “Jean took a close interest in national and local history. “We collaborated on many projects, including her attempts to publish the diaries. “After Jean’s funeral took place in the Kirriemuir Old Parish Church in 2012, her family determined to pass all Jean’s research notes on the diaries to me, as I shared Jean’s interest in local place names and events of the past. ‘Quite Happy’: The Diary of James Fyffe, Cattle Dealer 1836-1840 by Jean Dundas and David Orr will be launched today at 11am in Kirrie Old Parish Kirk. “James Fyffe’s diaries are a remarkable and quite wonderful record of a young Angus loon in the 19th Century and now I am ‘quite happy’ that they should be made available to all,” said Mr Orr. The book contains references to many local farms Fyffe visits and Mr Orr said it is interesting to compare and contrast the farmers Fyffe encountered with the present-day occupiers. The authors were supported in this project by Professor Richard Oram of Stirling University.